Even since the very beginnings of MeaningCloud, we have offered a Text Proofreading API in Spanish which allow you to standardize and ensure the quality of your contents through spelling, grammar and style proofreading. On the 2nd of April, we will definitely move this API and its functionality to Stilus, an application where we take advantage of the functionality provided by the API and show everything you can do with it. Contact us at support telling us about your volume requirements and which Stilus user would use the API. We will inform you of the conditions and tell you how to subscribe to the API. Once you have subscribed, you will only have to change the API endpoint and the key parameter value in your integration, and you will be all set to keep using the Text Proofreading API. If you’d rather use directly the text proofreading functionality online or from Word, check out all the ways in which you can use Stilus! As we recently advanced, during these last few months we have been working on new functionality. We are planning to start releasing it over the next few months. New Language Identification API: Language Identification 2.0, a new version of the old API with many improvements. New version of our Excel add-in. New version of our GATE plugin. We’ve changed how the sentiment model is sent in order to enable the use of custom sentiment models across all the APIs that support sentiment analysis. Support to analyze documents and URLs has been added. A configurable interface language has been added to improve multilingual analyses. As you would see, this is a minor version upgrade, so the migration process will be fast and painless. In this post, we explain what you need to know to migrate your applications from Sentiment Analysis 2.0 to Sentiment Analysis 2.1. More analysis possibilities have been included to allow you to combine a complete morphosyntactic analysis with other types of analysis such as Sentiment Analysis and Topics Extraction. Configuration options have been changed to provide more flexibility in the analyses and to make the options available more understandable. Improve the quality of the concepts/keywords extraction. Make easier and more flexible the use and traceability of user dictionaries. Give the possibility of obtaining a more complex integrated analysis to give flexibility in complex scenarios where the standard output is not enough. A new type of topic has been added, quantity expressions, to cover a specific type of information that was hard to obtain with previous versions. Some fields in the output have been modified, either to give them more appropriate names or to make them easier to use and understand. Some use modes have been retired as the information provided was redundant with what a morphosyntactic analysis already gives. All these improvements mean the migration process is not as fast as it would be with a minor version. These are the things you need to know to migrate your applications from Lemmatization, PoS and Parsing 1.2 to Lemmatization, PoS and Parsing 2.0. The topics extracted have been reordered to extract information in a more coherent way. Configuration options have been changed to provide flexibility in the analyses and to make the options available more understandable. Improving the quality concepts/keywords extraction. Making easier and more flexible the use of user dictionaries. A new element has been added, quantity expressions to cover a specific type of information that was hard to obtain with previous versions. Some fields at the output have been modified, either to give them more appropriate names or to make them easier to use and understand. All these improvements mean the migration process is not as fast as it would be with a minor version. In this post, we explain what you need to know to migrate your applications from Topics Extraction 1.2 to Topics Extraction 2.0. The rules used for defining polarity terms have been greatly improved, adding new operators and making the models used much more flexible, which in turn leads to better results. Sentiment analysis is now done at more levels, allowing to identify more complex syntactic structures and to obtain more detailed information about how the polarity is expressed. More configuration options have been added related to the morphosyntactic analysis over which the sentiment analysis is carried out. The architecture of the service has changed, leading to a tenfold improvement in the response time. An integration with the Lemmatization, PoS and Parsing API has been added in order to ease the way of creating applications that use the information provided by both APIs. Dictionary customization has been fully integrated in order to get out the most out of its functionality. All these improvements mean the migration process is not as fast as it would be with a minor version. These are the things you need to know to migrate your applications from Sentiment Analysis 1.2 to Sentiment Analysis 2.0. 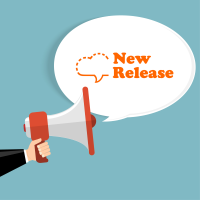 We have just published and updated in MeaningCloud two of the functionalities that were still pending to migrate from Textalytics. Automatic text proofreading checks spelling, grammar and style in your texts for several languages: Spanisn, English, French and Italian. Full language analysis including lemmatization, Part of Speech tagging and syntactic analysis also for several languages. For this API besides English, Spanish, French and Italian we have also Portuguese and Catalan available. Textalytics users can access MeaningCloud using the same email and password they already had. If you do not remember your password, you can reset and generate a new password. Update the access point, since the request and response format does not change. Both HTTP and HTTPS endpoints are available. Check your license key in MeaningCloud and make sure that you use the correct (and only) license as the value of the parameter ‘license key’ on all requests. You can copy your license key either from the Licenses section in the Account menu, or from the developers home. As always, if you have doubts or find any other problem, do not hesitate to write us to support@meaningcloud.com. Nevertheless, in order to ensure a smooth transition for client applications all the Textalytics’ API endpoints will be operational until June 1st, 2015. Meaningcloud’s API authentication as well as accounting have been simplified. It now requires a single license key for all APIs and consumption is accounted in number of requests. In order to ensure a smooth transition for client applications all the Textalytics’ API endpoints will be operational until June 1st, 2015. For the users of the remaining APIs, you will be informed over the next few weeks. Uninstall the Textalytics Add-in for Excel. Download the new version of MeaningCloud add-in for Excel which already contains the updated access points. Configure your license key to start analyzing texts.